Best Headset for CS:GO: In the gaming world; many people often neglect sound and consider it a lax feature. On the contrary, it is a pretty big deal, without a good sound system source you will not be truly living inside the game. It is the norm for us to commonly see someone playing with an expensive computer, on a large and vivid screen, but find them using the TVs’ inbuilt speakers or small in-ear headphones. While they certainly get the job done, they do not add a whole lot of depth or immersion to the gaming experience. Dedicated gaming headsets are usually not great and offer inferior sound quality than headphones. They are handy for when you are talking with your friends, as they will not hear your keyboard noise, but you can set up a microphone that way too. 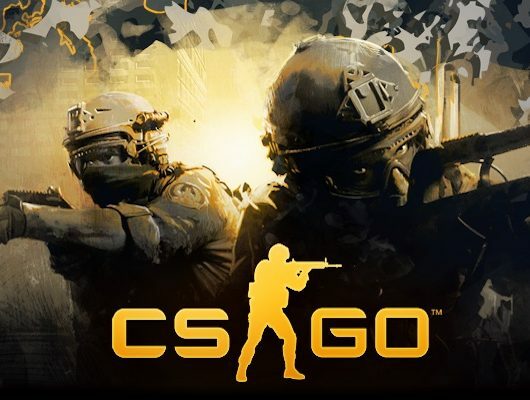 In the article, we will list down the best headsets for CS:GO so you can ensure yourself the best gaming experience possible because when it comes to highly competitive online games like CS:GO, headsets are a must as they allow you to hear even the unsavory of sounds. The Kingston HyperX Cloud II is a one of a kind headset, it mainly aims to offer everything the average gamer would want from a headset. It boasts big 53mm drivers, surround sound processing, and a detachable microphone. The HyperX features a redesigned USB sound card audio control box that amplifies audio and voice for an optimal Hi-Fi gaming experience, so you can hear what you’ve been missing. HyperX Cloud II offers a digitally enhanced, noise cancelling microphone with automatic gain control functionality and echo cancellation enabled through the USB sound card. The result is clearer voice quality and reduced background noise, with voice volume automatically increasing as in-game sound gets louder, to optimize team communication and in-game chat in intense battles. Not a very good bass. All in all, the Kingston HyperX Cloud II surely sounds great, it is packed with loads of features and has a lot of great extras, making it one of the best gaming headsets for CS:GO available at a pretty reasonable price. The Razer Kraken Pro is the embodiment of simplicity, while still offering great sound quality and a comfortable design. We can truly say that this piece is one best gaming headset for CS:GO, it feels great in the hand, and has been built with perhaps the perfect blend of materials at this price point. The Kraken is available in black or eye-burning neon green versions, the latter of which will certainly get the attention of anyone in the room. Both have black memory foam earcups. It’s huge, over the ear cups and memory foam padding let the headset sit securely on the head without pinching, and it is very light enough to not weigh down on the user’s head. The microphone hooked up on the Kraken is retractable, and neatly can be tucked away into the left side of the headset. When extended it is totally flexible and allows the user to adjust to their preference. Also, the headset offers an enjoyable listening experience across a wide spectrum of applications, making it a top choice for all the CS:GO headset users. Like any good gaming headset, the Kraken Pro handles bass very well, offering a 40mm stereo drivers that provide a satisfying blast of sounds to the ears. This is not the best headset for music, but it is primarily intended for gaming and voice chat in gaming, and at that, it works very well. Ear size convenient and friendly. Not the strongest nor firm head grip. The braided cable generates annoying sounds. Overall, the Razer Kraken Pro V2 is a simple, yet a superb stereo headset for gamers that excels in almost every area. For its price, it surely exceeds other competitors in the field, this headset is best for those who want a plain device to get the job done. Audiophiles know Sennheiser is respected in the audio world from noise canceling earphones to massive DJ styled headphones; the headset comes in either white or black with shiny red highlights, but unlike the Game One (the company’s previous version), the Game Zero also sports a thin, flexible headband and foldable ear cups. A small, handsome carrying case comes with the headset, making it incredibly easy to transport it. While the boom mic on the left ear cup is not detachable, the carrying case and foldable design make it feasible to bring the Game Zero along on your everyday trips. The most notable feature about the Game Zero is the size of its earcups. It is billed as “XXL” where each is an enormous oval that fits over the ears with probably a half-inch to spare in every direction. Despite that, they still seal exceptionally well and with minimal jaw squeezing and with no doubt, just amazingly comfortable, all around. And as mentioned above, the Game Zero’s design is impeccably light; making it the best headphones for CS:GO combining between a sleek design and burnished size. The headset has a pretty large microphone attached to it on the side, firmly affixed, and very obvious. You can swivel it up out of the way, this makes this set really only suitable for indoor use. However, it has a pretty high quality sound recording system that comes in handy during in-game conversations, as well as Skype calls. Since the Game Zero has no software, the only outstanding features are the volume control knob and its foldable nature, both discussed above. Easily portable and impeccably light. Overemphasizes voices in both music and games. Verdict, the Sennheiser Game Zero feels like a superbly premium quality gaming headset. It’s extremely light and comfortable to wear. Plus it also delivers amazing audio quality across the entire range from quiet moody music to in your face explosions and gunfire. The Astro A50 is a phenomenal wireless headset; it is quite durable and lightweight and above all, produces rich surround sound along other brilliant features; making it the best headset for CS:GO. This headset is a top leading device in the gaming league thanks to its incredible design and style; it is well-built as well as being super comfortable whilst wearing, its premium curvy look and eye-catching highlight colors are either in: bright-green (Xbox One) or blue (PS4). They obtain a large pair of well-padded ear cups which are quite responsive and easy to control, perhaps they aren’t for outdoor gaming as they are bulky and do not have a detachable microphone but that does not mean they aren’t for casual usage. The headset’s breathability is quite decent, the ear cups create a fairly good seal around your ears but they might cause some warmth if used for a long period of time. One of the many merits of the Astro A50 is its MixAmp station which can be found right into the right ear cup, it allows you to quickly adjust the balance between game and chat audio which is very useful to multi-tasking gamers. The A50’s audio performance is sturdy and powerful, with its deep bass you will be able to feel as if the gunshots and grenades explosions are real. On another note, the microphone might not be with strong abilities but it will do the job fairly. Fortunately, the headset can last up to 15 hours which results in vigorous gaming sessions. Final words, the A50 is an incredible CS:GO headset especially for its wirelessness and strong battery life, it makes it more easy and comfortable to endure the long gaming sessions while still delivering brilliant performance. The HD 558 is a bulky headphone with a design that fits adjustly to your head as the headband is manually adjustable, it is bodily well-built, furthermore, despite its plastic exterior and padded ear cups, the headphones are made of great materials that are creak-free. At the bottom you will find an audio port; the headphones come with a 3.5mm accessory adapter that is useful for those who use smaller headphone jacks. The audio quality is very superb; with the deep bass the headphones offer bringing clear sound without any distortion. However, sound leakage might occur due to the headphone’s open back and that makes them not the perfect fit for studio use as any microphone can pick up on the leaked sound. The Sennheiser HD 558 offers great value considering its price; it is an incredible stay at home kind of headphones, they are not really ideal for outdoor use also not easy to use with mobile devices due to its thick cables, however, they are one of the best-sounding headphone pairs thanks to their splendid sound quality as they provide superior separation and dynamics making your hearing experience more animate and lifelike. Open back design not suitable for many uses. Bottom line, the Sennheiser HD 558’s aesthetic appeal, comfort and high sound performance are everything a CS:GO headset lover would want, especially for the price range; this headphone is an incredible item to add to your gaming gear as it will deliver efficiency to the max. 6. Audio-Technica ATH-M50X – Best CS:GO Headphones For The Value. The Audio-Technica ATH-M50X is a headphone for the pros acknowledgement of its powerful bass, fantastic sound reproduction and chic design. Perhaps the ATH-M50’s design is identical to its previous versions but with a couple of changes they presented us with many improvements such as: adding a removable cable and adjusting the sound profile. The headphone obtains a large over-ear pair of speakers, they are comfortable to wear and better yet, produce amazing sound. Another improved feature you will find in this version is its removable cable; the socket is a standard 2.5mm port, the headphones come with an extra 1.2m cable for portable use and two longers: one coiled and one straight, they are great for at home use making this headphone very versatile as it offers multi-usage ways making it the best headphones for CS:GO. The Audio-Technica ATH-M50x offer high-end sound performance with deep bass and more easily equalization settings, your gaming experience will be a top notch and a joy as you will be able to hear the bombs and missiles loud and clear. Could use a better isolation update. Not mobile use friendly (bulky cables). All in all, the Audio-Technica ATH-M50X propose great value taking everything into its offered price, they are simply a smash and would be everything you want in a pair of headphones chiefly because of their moderately pricing. The Cloud Stinger is one of the most budget friendly gaming headsets you will be liable to find. The Cloud Stinger is a wired stereo headset, and features a jet-black design with a large red HyperX logo on each ear cup. It has a pleasing weight to it, and the plastic materials have a matte coating that lends an air of sophistication. All surfaces are matte black expect the red HyperX logo on the side of each earcup. HyperX does not offer any other color options for the Cloud Stinger. The microphone and headset cable are permanently attached to the left earcup. The mic sits at the end of a flexible rubber boom, which you can swivel up to mute the mic. The 4.5-foot headset cable terminates in a 3.5 mm plug, so it works with all kind of devices in the market, whether mobiles or game consoles. HyperX also includes a 3.5-foot extension cable that has two 3.5mm plugs to use with PCs that have separate headphone and microphone jacks. The sound quality aboard the Stinger is impressive given its price; with music playing, you can easily pinpoint where each instrument resides in the mix which is something you can not do with most budget headsets. You get a similar positive experience in games when it comes to pinpointing enemies or the direction of incoming gunshots. The best and notable feature considering the sound is a volume controller located on the earbud, it is extremely useful in mid game situations. Excellent audio quality for the money paid. Has volume/mic controls on the headset itself. The earpieces are very comfortable. Not the highest microphone quality. Final words, the Cloud Stinger is a remarkable headset offering all the needed basic features: solid sound, serious comfort, and an attractive design making it a great CS:GO headset option for anyone taking their first try into gaming headsets, or anyone who just needs a get the job done kind of headset without the accompanying wallet-shock. The Cloud Revolver is one fine CS:GO headset, it flares high quality through and through. The headband frame is made entirely of thin steel, and is attached to ear cups made of hard plastic with white logos on each of them. Underneath the metal frame is an extremely soft, leather-wrapped pad that features unique white lace stitching to compliment the logos on the ear cups. The quality of the audio is as good as ever. This model has an ultrawide soundstage with a bit of a mids boost that gives it a fun, lively output for both gaming and music. The dongle features a long, braided USB cable so it can easily plug into the back of your PC, and also has a clip on its back so you can attach it to your clothes to make sure the cords do not get in the way while gaming. The noise cancelling microphone’s boom is made of soft, bendable plastic, and is removable. It connects via a 3.5mm jack, so you can take it out when you just want to listen to music, or if you’re the silent type when gaming. Perfectly adjusts to the head. Not the best microphone quality. Lastly, the HyperX Revolver is an impressive model for its crisp, clean audio and all-day comfort thanks to their large, oversized earcups. Given their size and design they look and feel more like a pair of really high-quality headphones that you can use not only for gaming but also everyday uses. Simply, it offers rich audio within a comfy, and a durable design, making it the one of the best headsets for CS:GO. The Sennheiser Game One is a simple gaming headset yet it will definitely draw your attention thanks to its strong magnetic-field kind of exterior. This gaming headset adorns an amazing sound quality and a trendy overall look. The GAME ONE owns one of the smoothest and coolest designs that is better than any other gaming headset in the market thanks to their either all white or all black chassis; the ear cups are a great fit with the suitable size to wear. The headset has a boom microphone on the left ear cup and volume control on the right ear cup, offering super comfort usage to the users. This headset does not need software nor an amp to set up which makes it more easy to use, all you do is plug and play. Considering the sound performance, the GAME ONE delivers high-quality thanks to its ability to control bass, treble, voice chat and microphone volume with maximum ease. Moreover, you will be able to hear muffled sounds and noises midst any game clearly and that is why it is considered the best gaming headset for CS:GO. The headset’s microphone delivers excellent performance as well; It can manage capturing clear voice records and deliver them accurately to other players and teammates, in addition to keeping the background noise to a minimum which is extra merit. Does not include PS4 connectors. Bottom line, the Sennheiser GAME ONE is a product that excelled due to its incredible sound performance and not just in gaming but in music as well. Regardless of its pricey range, it remains as a super CS:GO headset that will definitely not disappoint. The SteelSeries Siberia 200 are a surprisingly good-sounding and budget gaming headphone. SteelSeries has released another gaming-targeted headset that once again features its signature retractable microphone, expanding bridge headband design, and futuristic design, this gaming brand has exceeded all expectations to make the best headset for CS:GO. The SteelSeries Siberia 200 are decently comfortable but they do not have the sleekest design for headphones unlike others in the market that make it appear as if they are not very durable when it comes to the feel. They are moderately stable and have a more compact form factor than typical gaming headsets. They also have a retractable microphone which makes them a bit more suitable to use outdoors, although, the lack of a mobile-friendly control scheme and the still somewhat bulky design means they will not be the easiest to carry around without a bag. The retractable microphone is practically identical to previous models. It retracts well and almost fully into the headset, sounding perfectly fine for any gaming option. The in-line control unit feels solid and responsive. There is no sound crackling when the volume is turned up and down, and SteelSeries has done a great job with making the microphone mute button quite flat, meaning it should not get caught on your shirt and keep muting your microphone accidentally. The SteelSeries Siberia 200 are moderately stable for a gaming headset. They are tight on the head and would be stable enough to jog with if they had a detachable cable. These headphones have a basic control scheme for gaming. A volume dial and a mic on/off switch. The padded ear cups gets hot easily. Final Thoughts, the SteelSeries has showcased once again that they are great at what they do; they are surprisingly well balanced with a good amount of bass and a clean representation of instruments and vocals making the gaming experience more enhanced and rich. How to Choose a Headset for CS:GO. Now that we have listed all the best headsets for CS:GO in the market, it is time to list down everything you need to consider while buying a headset for CS:GO. It is not always about the price, there are far more important traits to be included in the headset in order for it to accommodate to your needs and to enrich your gaming experiences. Background Isolation: it is the level of how a headset can isolate background sounds from what you hear while playing the game. It is an important feature as it will help you focus more on the footsteps, gunshots and other hidden sounds in the game. Sound Quality: sound performance of a gamer’s headset has the biggest importance, as it is not only used to listen to music or in-game chats, it is the main aroma to get the ultimate gaming experience. Comfort: if the headset does not feel cozy and easy on the ears, then it is not for you. Discomfort may cause the earbuds to be heated very easily which will lead to disregard the headset. Microphone: the quality of a headset’s microphone is a vital aspect; as it must be of good quality as it is a substantial element to provide information to other game players.